Post Christmas stress can linger couple days passed, feels like when you have some time off work it takes a good 2 days to decompress before you feel the relaxation mode. So much of everyday is about rushing from here to there and it’s good to take these moments to reflect on bettering yourself, these runs this week are about deep mediation, setting goals for the new year and keeping everything in check. Chia seeds: These seeds are something I have been using in my training for years, it works for me and might work for you. 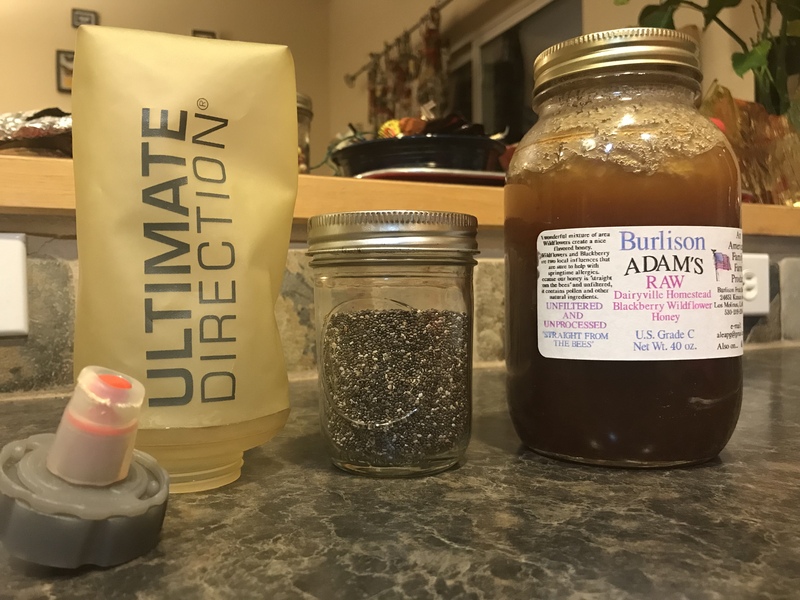 I am sure this is not new info but I want to share my experiences with Chia seeds, what I do is mix with water and honey and bring in mini bottles on my run, is it psychological? Is it a true energy boost when a bonk is about to happen? Not sure the answers but I know it works. How I do it: 1x scoop Chia seeds to 3/4 water to 1 spoonful of honey mixed in water bottle. Most times I mix night before and drop in fridge for a grab and go. For some reason sports drinks mess me up and this takes the place, it has awesome hydration effects and also kicks in a boost of energy. 1) chia seeds can absorb up to 12x their own weight in water, making them awesome for hydration. 2) high in omega 3 to help with inflammation and joint pain. 3) Tarahumaran people use Chia and they cover insane volumes of distances. All it takes is one foot in front of the other, if you feel like you are floating on air you have achieved the runners high. I strive for the runners high everyday to get my fix.